Definition - What does Exit Strategy mean? 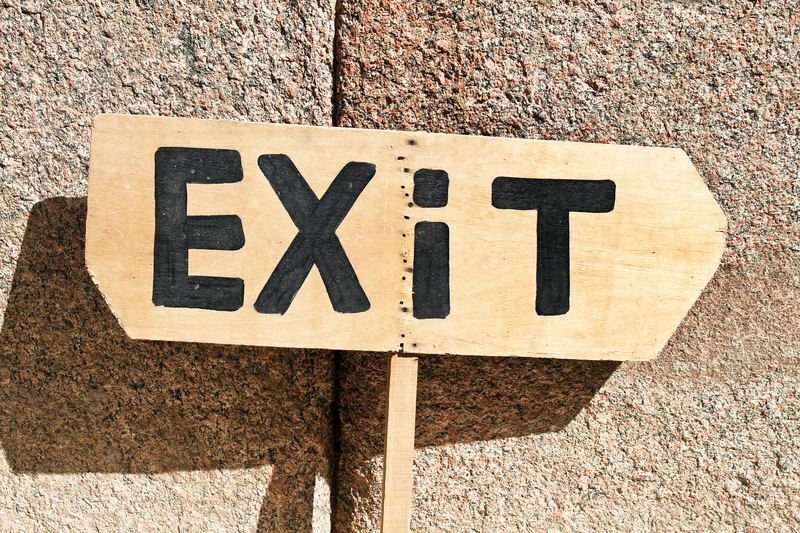 Exit strategy planning should start years before an exit actually occurs. Usually only one or two strategies are actually viable for most business owners. Sale to a third party (strategic or financial buyers) - this strategy is appropriate for owners that want to monetize some or all of the equity retained in the business. A sale to a strategic buyer usually results in a higher payout and quicker exit. A sale to a financial buyer may result in a lower payout, but a slower, more transitional exit. Transfer to a family member - in this case, the objective of "leaving a legacy" is likely more important than maximizing the value of the business upon an exit. Sale to a management team - an MBO can provide a quick, confidential exit at a fair (although mostly likely not highest) price. This strategy is very financeable via equity and/or debt, since capital providers like seeing the existing management stay invested in the company. Initial public offering - with this strategy, there is potentially a big payout, but realistically only a handful of companies are candidates for an IPO. The compliance, legal and administrative costs are very high both when preparing for an IPO and also once the company has gone public. Liquidation/windup - this approach is usually a last resort option for most entrepreneurs, but unfortunately a more common occurrence than most realize.